When I was 21, my best friend Todd lent me a copy of The Stranger, and my life’s trajectory hasn’t been the same since. To a self-identifying outsider, the story of Mersault, who exemplifies anomie, was a revelation. A philosophy professor once told me, in a somewhat dismissive way, that Camus was the author for “angry young men,” and I certainly fit that description at the time. But I’ve re-read The Stranger in my 30s and 40s and have found it to be just as relevant, though speaking to me in different ways. Ever since my first introduction, I’ve been obsessed with Camus. 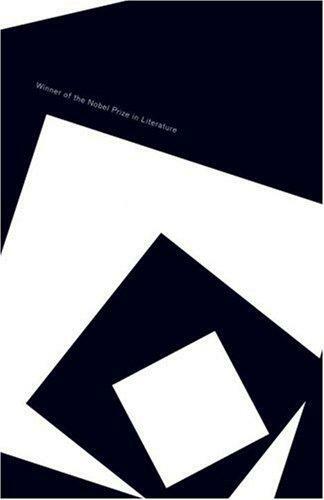 The Stranger and The Myth of Sisyphus remain two of my of top-five favorite books. The Plague and The Fall continue to haunt me, and The Rebel still confounds me. It is no surprise, then, that my time in Paris was dominated by thoughts of Camus. In advance of the trip, I researched some of his favorite spots to compile a personal literary tour of the great existentialist (a great resource is Connect Paris’ In the Footsteps of Albert Camus). Of course, the definitive Camus hotspot is the cluster of cafes in the Saint-Germain-des-Pres (Les Deux Magots, Cafe de Flore and Brasserie Lipp), which has unfortunately become much of a tourist trap. Nevertheless, this area has been home to some of the world’s finest thinkers. Prior to the Existentialists, such as Camus, Sartre and Simone de Beauvoir, the area hosted a collective of Enlightenment thinkers, the Encyclopedistes, led by philosopher Denis Diderot and mathematician Jean le Rond d’Alembert. Together, they compiled Encyclopedie, which featured contributions from the likes of Voltaire and Jean-Jacques Rousseau. Marcel Proust wrote about the neighborhood, Richard Baldwin hung out in it and the world’s greatest skeptic, Descartes, is entombed there. There is no shortage of literary history in Paris, but for me, the Saint Germaine is most haunted by the Algerian author who resisted the Nazis, won the Nobel Prize and commented on the absurdity of the human condition with more acuity than anyone of his generation. While I wasn’t able to retrace his steps through the city, I am able to view his works with fresh eyes. I even bought a copy of The Plague in the original French, with the intention of learning the language (and besides, I needed a third edition of this book!). That remains a work in progress, but in the meantime, here are my thoughts on some of his English translations. Truly, all of Camus’ books are unsettling, in the truest sense of that word, because that’s his intent. These are not pastorals. Camus does not soothe the reader with hugs and rainbows. He couldn’t care less about easing your conscience. Camus challenges the reader. He inspires the reader. Discomfited? Good. That’s a natural way to feel. The question is: What are you going to do about it? The Fall is the long-form confessional of Jean-Baptiste Clamence, who haunts the smoky confines of a lowlife bar in Amsterdam’s Red Light District. 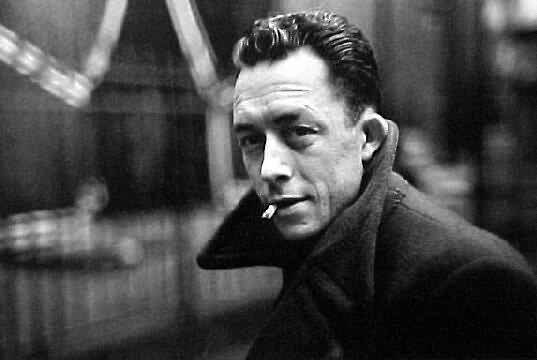 He tells his story to an unknown, unseen audience, and that juices the narrative with an intimacy and informality we don’t always get from Camus. Clamence takes us on a guided tour of Amsterdam, which is designed, he says, in the nature of Dante’s rings of hell. We move through the city via his dramatic monologue. But though setting has an important part to play, it is the narrator’s interior landscape at center stage. Clamence presents the anxieties of his time, and they look very similar to modern anxieties. He speaks for the fragility of man, and how one’s descent is incremental. Camus nails the pathway of anxiety and how we are our own worst interrogators. He touches on thought perseveration, self-sabotage and even has an incident of road rage — perhaps its first mention in literature? In turns hopeful and hopeless, Clamence is a man buried beneath the rubble of his failings. It’s a reminder that we make poor choices, focus our attention on the things that scar us, and ultimately, author our own demise. Now that’s an unsettling premise. I don’t imagine a film version will displace It’s a Wonderful Life as a holiday tradition, but for anyone curious about the workings of a mind in distress, you should wind your way into this twisted narrative. What I remember identifying with in my two initial reads of this novel was the sense of alienation and inaction surrounding Meursault. I thought of him as a passive character forced into action. I appreciated his indifference, his dispassionate observance of events. Third time around, I noticed something new: Camus does not reduce Meursault to the one-dimensional figure I had considered him to be. He is not necessarily alienated or passive. He interacts with many people in the novel other than Raymond and Marie. He is not as passive as I recalled. This is significant because I think that’s why Meursault resonates so strongly more than half a century since the novel’s publication. It was my mental shortcomings (or perhaps the imposition of my own personality onto the narrator) that reduced Meursault to an idea rather than a vibrant literary figure. Paying closer attention to Meursault’s interiority, I realized that his time in prison is hardly passive. Though physically confined, his mind is alert and active. The point, I gather, is not action vs. inaction (which I initially thought), but rather the arbitrariness of action. Indifference is more than a passive stance. Meursault comes to represent what he refers to as “the gentle indifference of the world.” Existence is absurd and meaningless is the credo of existentialism, and so it goes with The Stranger. What is the rhyme or reason for Meursault’s murder of the Arab, a chance encounter for which he bore no bad blood? In terms of a causal relationship, we can trace the episode back to the narrator’s friendship with Raymond, his defense of him in court, the earlier melee with the Arabs, his random possession of the gun and Meursault’s naïve thought that the men wouldn’t return to fight again. But in the larger scope of existence — “the gentle indifference of the world” — what difference does it make? The two men found themselves in that particular moment. They acted in that particular way (the Arab pulling his knife, Meursault the gun). For the narrator, the bright sunlight is as much to blame as he. He can’t even explain why he continued to shoot after the Arab was dead. He just did. Camus is so successful in stating his case for the absurdity of existence that his masterwork has remained in print long after his death. The mark of great literature is its timelessness — the ability to revisit a beloved book again and again and to learn something new each time. So it is for me with The Stranger. Read first as an outsider, second as a philosophy student and lastly with an eye for form and technique, I realize that Meursault is a more rounded character than I first believed. 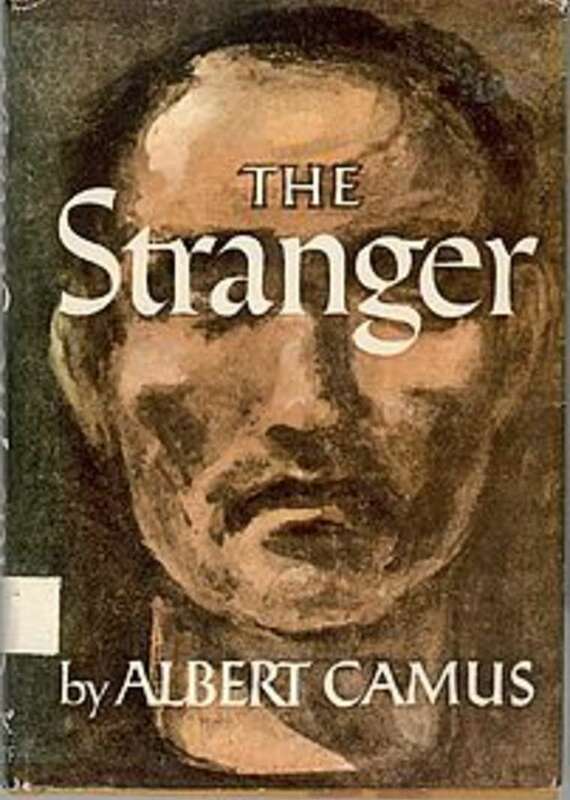 Camus’ use of the interior infuses the book with an energy I felt but didn’t quite recognize on my first two reads. I am certain I will read it again before I die, and I look forward to whatever fresh insights this, and his other books, have to offer. I’ve always felt a deep kinship with Albert Camus. We both come from working-class roots, and we each found our way to journalism. That’s about where the similarities end. 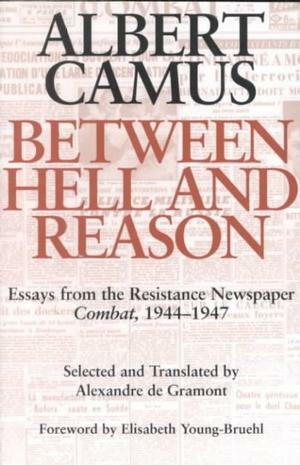 While I broke into newspapers as a music and features writer, Camus was editor of Combat, an underground political paper that was part of the French Resistance to Nazi occupation during World War II. He and his co-workers were jailed and sometimes murdered. If you want to read some amazing and inspirational writing, pick up Between Hell and Reason, a collection of his war journalism. There is an immediacy to his writing, because he knew that every article could be his last. If this book doesn’t get you up and off the couch (at least to go to the voting booth), nothing will. However, that’s not the book I want to discuss today, although there is plenty disturbing about Nazi occupation. Truly, any Camus offering is unsettling, in the truest sense of the word, because that’s his intent. These are not pastorals. Camus does not soothe the reader with hugs and rainbows. He couldn’t care less about your spiritual nourishment. So it goes in all his works, both fiction and non. My two favorite books of his, and two at the top of my all-time list are The Myth of Sisyphus and The Stranger. The Plague is one of his darker (and classic) works, but for our purposes at Unsettling Chapters, nothing matches The Fall. Here we have the long-form confessional of Jean-Baptiste Clamence, who haunts the smoky confines of a lowlife bar in Amsterdam’s Red Light District. He tells his story to an unknown, unseen audience, and that juices the narrative with an intimacy and informality we don’t always get from Camus. Camus nails the pathway of anxiety and how we are our own worst interrogators. He touches on thought perseveration, self-sabotage and even has an incident of road rage—perhaps its first mention in literature? In turns hopeful and hopeless, Clamence is a man buried under the rubble of his failings, held down by his own hand. It’s a reminder that we make poor choices, focus our attention on the things that scar us, and ultimately, author our own demise.